Drivers Education Blog > Teen Driving Tips > Driverless Cars: Do We Still Need to Learn to Drive? Driverless Cars: Do We Still Need to Learn to Drive? 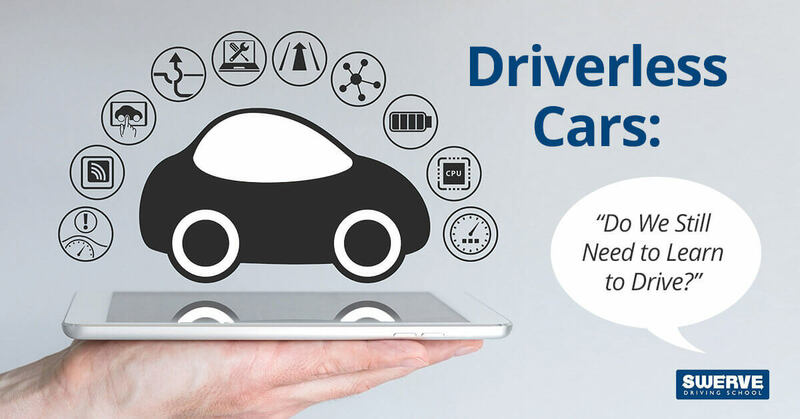 Driverless cars are a hot topic right now in the technology and automotive industry. Features are already appearing on cars with different functions that the driver no longer needs to perform on their own, such as parallel parking. With driving becoming so much easier, do we still need to learn to drive? See why it’s probably not the time to skip driver’s education classes…yet. Have you ever been driving around in a new city and the GPS unit is screaming at you to turn right, but the road is closed? Or been looking at a map on your phone from an interstate, but the map shows you are in the middle of a field? There are many situations in everyday life where you must use common sense, or intuition, to get to your destination. While it’s a nice idea to rely completely on technology when driving, the reality is that it isn’t likely. There are always problems that come up, emergencies or changes in plan. Operating a self-driving car will still likely require education on driving, laws, and operating the vehicle. That way, if anything comes up and you must navigate your car somewhere, you won’t be entirely helpless. Having a self-driving car that allows the driver to off-road in any condition seems unlikely. People will always want to explore and experience life outside the regular schedule of life. Even having the technology available to never drive seems decades away, especially considering all the red tape that comes along with transportation. People still like their independence and technology is rarely infallible. While there is still a large population of people who don’t like to drive, there are still many people who do enjoy it. Everyone will not want to give up the experience of driving, just like adults today. The need for taking driver’s education will stick around for a long time still to accommodate this part of the population. As driverless cars become more available and popular, it is more likely that programs will adapt. Keeping current with the technology available, they will probably change from providing driver’s licenses to operator’s licenses. However, the need for knowing the laws and how to run a car will still be there. Does Your Car’s Color Improve Its Safety?